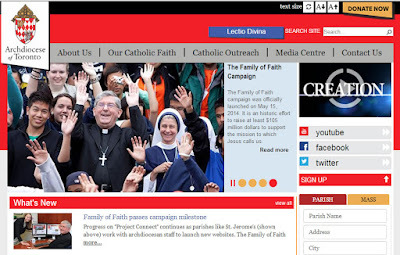 Archdiocese of Toronto new website ..check it out! Under the direction of the Pastor, and working together with other parish staff, coordinates the Sacramental preparation programs and other catechesis initiatives of St. Joseph Parish. • Develop and implement Initiation Programs for Children when required. To register, or for more information, visit or contact the Parish Office. Additional information regarding this program is available at www.totustuustoronto.ca Anyone wishing to volunteer, please contact the parish office.